News of the passing of Jonathan Sanchez, the long-time associate publisher and COO of the venerable bilingual community newspaper chain Eastern Group Publications/EGPNews (publishers of this newspaper) sparked an outpouring of both shock and loss on social media by those who knew and worked with him over the years, including many in the nonprofit, political and business communities, and fellow journalists. “Jonathan has been an important voice for the Latino community,” former State Assemblyman and Los Angeles City Councilman Richard Alatorre told EGP shortly after learning of Sanchez’s death. Jonathan Sanchez, who was surrounded by family in his final days, passed away Dec. 23 at his home in Highland Park, California, the Sanchez family announced at the start of the New Year. His death comes following a short battle with cancer. He was 64. Tributes Pour In for Jonathan Sanchez who died Dec. 23 of cancer and will be memorialized Friday at Pillar of Fire Church in Highland Park. Photo: EGP Archives. According to the family, Jonathan was very private and never wanted to burden his family or friends with his illness, so it’s understandable his passing comes as a shock to many who knew and loved him all these years. He was a loving husband, father, grandfather, friend and confident to many, an advocate for the Latino community he loved so much and for the Latino-owned small businesses he worked so hard to give a voice to, the family said. “Jonathan left us too early and will be sorely missed,” they said. It’s a sentiment echoed repeatedly on the news group’s website and Facebook pages and Twitter feed, and the pages of individual family members and friends. “So so sorry to hear of his passing he was a great friend to the community and Centro de Ninos he will be missed by so many,” Sandra Serrano Sewell, executive Director El Centro de Ninos wrote on Facebook. “Jonathan and Eastern Group Publications has been a mainstay in the community that so many counted on and he and EGP delivered over and over again, day in and day out,” writes Diana Martinez. editor of the San Fernando Valley Sun/El Sol. One of nine children, Jonathan was born Aug. 31, 1952 to Juanita Beltran Sanchez and Jose Vicente Sanchez. He was a lifelong Angeleno who spent most of his childhood and adult life in the Northeast Los Angeles communities of Highland Park and Mt. Washington. 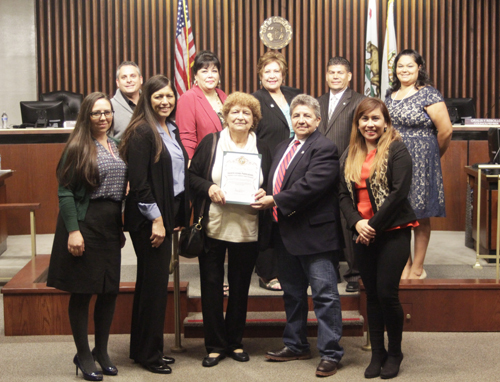 Together with his wife of three plus decades, EGP Publisher Dolores Sanchez, they established a highly respected chain of 11 bilingual (English/Spanish language) community newspapers serving East, Northeast and Southeast Los Angeles County. In 2015, the venerable Mexican-American Sun, ELA Brooklyn-Belvedere Comet, Wyvernwood Chronicle and Monterey Park Comet were folded into EGP’s flagship newspaper, the Eastside Sun. EGP’s other publications are the Northeast Sun, Bell Gardens Sun, Montebello Comet and Commerce Comet. Before joining EGP in 1979, Sanchez was art director at the Bloom Agency, a full service advertising agency that also published monthly magazines. In addition to overseeing the layout and design for the various publications, Sanchez also doubled as a photographer, shooting covers for many magazine covers. Jonathan attended UCLA and completed journalism programs at the Amos Tuck School of Business Administration and The Poynter Institute for Media Studies. In his capacity as EGP associate publisher and COO, Sanchez oversaw the business side of the family-owned and operated newspaper group, including advertising, client and government relations. He also directed EGP’s special advertising and public relations contracts, such as a multi-year statewide outreach project for California’s former Healthy Families Program that included advertising, public relations, community engagement, enrollment and other elements, and dozens of other contracts. An avid supporter of transparency in government, Jonathan and Dolores have always operated under the motto “A Free and Independent Press Preserves the People’s ‘Right To Know:’” A principle that continues to guide the newspaper group as it strives to give voice to the issues of importance to its readers. 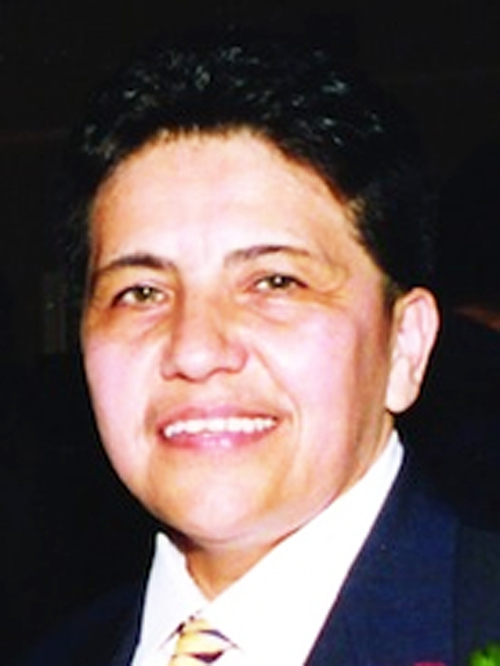 Shortly before taking ill, Sanchez was elected to the Board of Directors of the California Newspaper Association (CNPA). As a member of the CNPA, Sanchez advocated strongly and successfully against a plan to change California’s public notice laws, telling state lawmakers that what they were proposing would endangered the public’s ability to know what its government is doing and how taxpayer dollars are being spent. – Founding President of the California Hispanic Publishers Association (CHPA), a statewide organization of Hispanic owned newspapers that during his term in office reached more than four million readers a week. – Vice President and founding member of The National Federation of Hispanic Owned Newspapers (NFHON). He was the founder and president of the Eastern Group Foundation, a nonprofit organization dedicated to “Family Literacy and Community Volunteerism.” The EGP Foundation’s Letters to Santa program benefited more than 90,000 disadvantaged children and their families. The Foundation also provides internships for college and high school students pursuing a career in journalism, and has previously worked with grammar school students helping them publish their own mini newspapers. – Board of Governors of the Crippled Children’s Society. – Board of Directors of the Boy Scouts of America. – Member of the Los Angeles County Museum of Art Advisory Board. In May 2016, the Los Angeles Boys and Girls Club honored Jonathan and Dolores Sanchez for their support of programs that enrich the lives of children. Jonathan has received many other recognitions and honors over the years from nonprofit groups, elected officials and the cities where EGP newspapers circulate. In addition, he has served on numerous boards and committees for community based organizations, law enforcement agencies and educational entities. Jonathan is survived by his wife Dolores, daughters Deana and Bianca Preciado and her husband Arturo Preciado; brothers David, Miguel, Juan and Pedro and sisters Maria Teresa, Delia and Rose; Dolores’ children Gloria Alvarez and husband Mike Alvarez, their four children and two grandchildren; Michael Sanchez and wife Christine and their five children and four grandchildren; Sarah Ramos and her husband Jon Ramos and their three children and; Joe Sanchez III and his wife Carla, their 8 children, spouses and nearly two dozen grandchildren and great-grandchildren. A Christian Memorial Service will be held Friday, Jan. 6 at 11 a.m. at Pillar of Fire Church: 4900 N. Figueroa St., Los Angeles, CA. 90042. I’m deeply saddened by the passing of my friend Jonathan Sanchez, Eastern Group Publications’ Associate Publisher and COO. My thoughts and prayers are with his wife Dolores, their family, and all their loved ones. 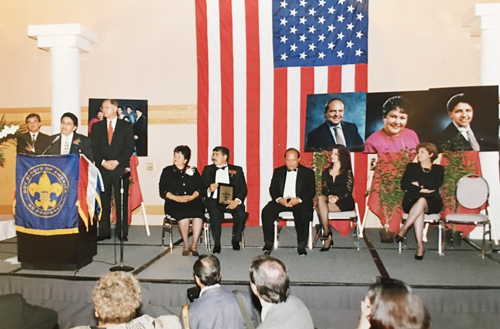 Jonathan was always a great advocate for Latinos, LA County, and the network of community newspapers. His passing is a great loss for all those he championed. I am so sorry to hear of Jonathan’s passing. You have such a wonderful legacy in your family and have done so much for our community. Jonathan Sanchez and the Sanchez family, has been committed “to telling the stories of good work and accomplishments taking place, along with the issues” faced in East and Northeast L.A. area neighborhoods for many years. The newspaper group’s belief that “consumers, whether they are English or Spanish dominant or bilingual, need information about their communities in a language they can understand” speaks to the Sanchez family’s commitment and connection to the community. For this reason, Los Angeles Boys & Girls Club honored EGP and the Sanchez family at our benefit dinner in May 2016. We are very sorry to hear of the loss of Mr. Jonathan Sanchez who will be missed. We continue to honor and thank you for your commitment to our community. I am shocked. Jonathan and Dolores gave me my first shot in the newspaper business, and I will forever be grateful for that opportunity. I will always cherish my talks with Jonathan and the advice he gave me as a young reporter. He was a great mentor who was always in my corner, no matter how much trouble I stirred up with my articles. I owe my career to him and Dolores. Thank you, Jonathan, for showing me the way. –Greg Arroyo, journalist & former EGP reporter. Truely sad. Jonathan was such a wonderful and supportive person. He was an advocate for the east side and our youth. We will miss him. I am so sad that I didn’t get to see John before he died. He was a great mentor and taught me a lot about reporting and the newspaper business and I learned alot about politics and issues from him. I’m so sad for Dolores and and the family. A tragic loss to the communitis he loved and served for so many years. He will be greatly missed by all of us. Gloria, I will never forget when you and Jonathan opened your doors at EGP for my first job as a journalist. Rest In Peace. Very sorry to learn this terrible news. Mr. Sanchez was an accomplished journalist. He has left a legacy and no doubt he will be missed. For all of you in Latino Publishing – or California Politics, the sad news is that we lost Jonathan Sanchez. For the last 40 years Jonathan has been a consistent voice on issues of concern to the Latino community, on ensuring that Latino publications receive the respect that they deserve, and that politicians realize the power that the Latino community has. Johnathan was never at a loss for words and all that knew him will sincerely miss him . I just learned that Jonathan died last Friday and wanted to share with you my deep sense of loss and sadness. He was a great ally — as you both have been. He went out of his way to provide counsel and support, and got on planes to fly east or north to be physically present at our founding events. He never asked for recognition himself, but by being in the room, by hosting some meetings himself, he lent credibility and validation to everything we did. I felt very honored the first time I met all of you and you shared a meal with me. You offered to share space at your office. 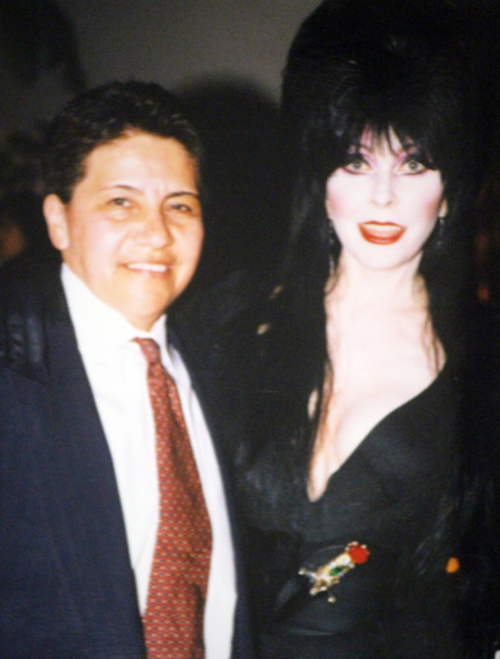 I think of you as the Sanchez family and without you guys, LA would have felt like an alien city to me. He embodied everything distinctive about ethnic media — above all the commitment to community, and the independent voice — that makes me devoted to the sector. Mr. Sanchez was an amazing person. Kind, always willing to listen and offer advice. This community has truly lost a great man. This is tremendously sad news … He was truly a great man. I enjoyed many conversations with him over the years and those conversations always left me a little wiser. He will be greatly missed. –Jim Ewart, general consul CNPA-California Newspaper Assoc. I am so very sorry to hear of Jonathan’s passing. 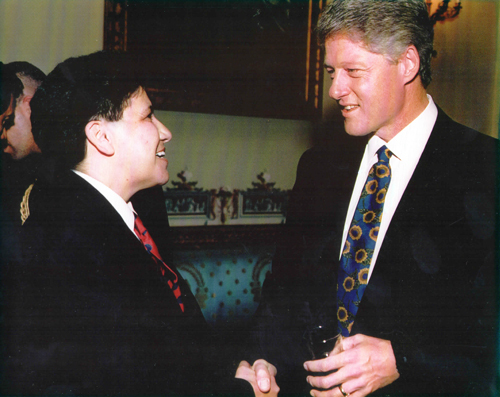 I always respected him and recognized the sincere and profound commitment he had to making positive change for Latinos and others. This is the first impression I had of him when we first met. Being able to work with you all on various projects was a great experience. Jonathan’s commitment to making change was one I have seldom come across in my many decades of working in the public advocacy sector. I will miss him and so will many others. My most profound condolences for the loss of a good person with great passion and desire to making a positive difference. He accomplished many important things for our community in his short life. I always appreciated Jonathan’s bluntness and have a number of fond memories interacting with him during the many years I worked in the Commerce Public Information Office. He was a very good man. He did a lot for the community, for many of us, he covered us. He was a mentor to many. He and Dolores were a good team, they did a lot for the community. -Alycia Enciso, interior design and owner of AE Designs, photo demographer.